It is Makeup Wars time again! This time the Makeup Wars bloggers are sharing their favorite "Complexion Helpers" or Favorite Foundations for Summertime. Before diving into my picks for Favorite Summertime Foundations, let me tell you a little bit about Makeup Wars. The Makeup Wars Bloggers are a group of top beauty bloggers that publish coordinated bi-weekly posts. The Makeup Wars bloggers collectively pick topics to blog about (e.g., Top 10 Products, Beauty Pampering, etc). Then, we publish our posts at precisely the same time and link up through the graphic links and thumbnails at the top and bottom of our posts. It is always so much fun to see what products this group of top bloggers is using and loving! Do you wear foundation in Summertime? Me? Not usually. I really go much lighter with my makeup overall for Summer. Typically, I skip foundation and just stick to some concealer and a little bit of powder. However, when I do wear foundation in the Summer, I totally go for different foundations than I do in the colder months. My skin's needs change seasonally. Therefore, my foundation requirements change as well! My skin is much more oily in the Summer. Plus, I prefer to wear foundations with a lighter look and feel in the Summer. Laura Mercier's Tinted Moisturizer is such a classic! This product's reputation precedes itself as one of the best tinted moisturizers on the market. So, I had high hopes when I first started using this a few months ago. Well, I am happy to report that this product certainly lives up to its stellar reputation! Laura Mercier's tinted moisturizer is a lightweight foundation that provides beautiful coverage while also remaining lightweight! There are so many tinted moisturizers out there that are "nice" but just don't give enough coverage. This one has just the coverage that I need without leaving me feeling too "made up". It covers my slight redness nicely. However, I do still need additional concealer for my under eye circles and blemishes. The finish is dewy and the formula is hydrating. This tinted moisturizer works nicely with my combination skin. Plus, the share Porcelain is an excellent color match for my super-duper fair skin. The SPF of 20 is great, too! For some people, this might be all the sun protection that you need. However, I still like to use a sunscreen underneath for a higher SPF (especially for Summer). This product has become a staple in my foundation routine for Summer and I am sure it will be a year-round favorite as well. Laura Mercier's Tinted Moisturizer retails for about $43 for a 1.5 fl oz tube and comes in 12 shades. Have I mentioned lately how much I love Paula's Choice? As a long term-fan of Paula's Skincare, Makeup, and "Don't Go to the Cosmetics Counter Without Me" book, I am always interested in trying out her products. Paula's Barely There Sheer Matte Tint is my most recent venture into her brand. I was drawn to this product because of its promise of a matte, sheer finish and the SPF of 30. The SPF in this product is a mineral based Titanium Dioxide/Zinc Oxide sunscreen (which is actually my fav sunscreen combination for my sensitive skin). I wear the shade Level 1 (Fair/Light) which works pretty well with my fair skin. It is just a slight bit yellow on my neutral-cool skin. However, since the coverage is quite sheer, I can get the color to work nicely for me. I would call the finish "natural" rather than true matte (So, a "demi-matte" finish). I like how this product perfects my skin without looking heavy. Plus, Paula packs great skincare ingredients like Vit C and Vit E into this tinted moisturizer, too! So, you are getting some nice skincare benefits when you wear this. Another bonus? This product is a steal for $14.95 for a 1 oz tube! 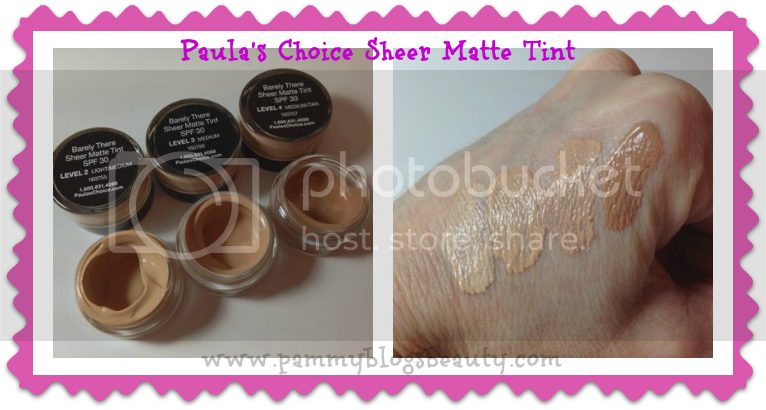 Paula's Choice Sheer Matte Tint comes in 4 shades. It Cosmetics Your Skin But Better CC+ SPF 50+ CC Full Coverage Cream: Lets shift gears from Tinted Moisturizers! I just had to include this new CC Cream from IT Cosmetics as one of my new favorites for Summer (I wear the shade: Fair). Unlike the other two products mentioned in this post, this IT Cosmetics CC Cream has full coverage. So, when I am looking for full coverage and high SPF in just one step, this is the product that I reach for! Both the Sun protection and the coverage are really quite impressive! CC Creams "do it all": This product acts as a moisturizer, primer, anti-aging serum, full-coverage foundation, and broad-spectrum SPF. If you have not tried a CC Cream yet (and are familiar with BB Creams), they are much like BB Creams but they have better coverage. Now, I don't always want such full coverage in the Summertime. However, I do like streamlining my routine and there are certainly many days that I "need" more coverage. While this product is full coverage, somehow it just "feels light" when you wear it! Plus, I just love that I can "slap" this on quickly and be instantly "done"! :) The skincare ingredients in this product are very impressive and include: peptides, niacin, Vitamins A, B, C, and E, hyaluronic acid, hydrolized collagen, and antioxidants. This IT Cosmetics Your Skin But Better CC+ SPF 50+ Full Coverage Cream retails for $34, comes in 5 shades, and is available from QVC. 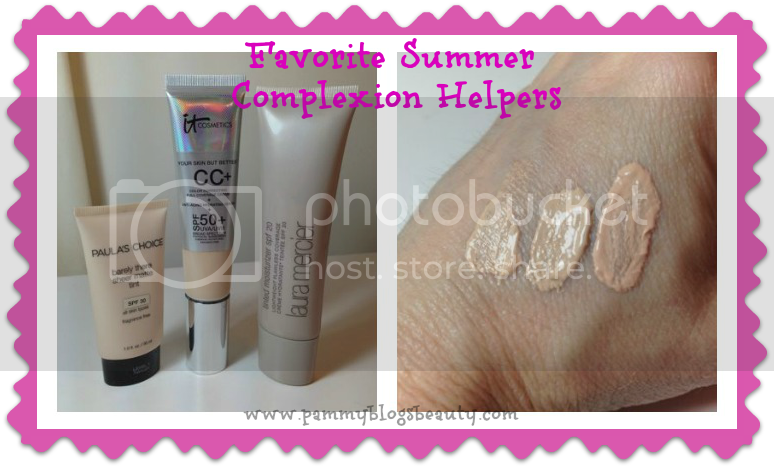 So, those are my favorite "Complexion Helpers" for Summer? What foundations/BB Creams/CC Creams/Tinted Moisturizers are you loving for Summer? Have you missed our previous Makeup Wars? Be sure to check out these posts: Battle of the Taupes, The $20.00 Face Challenge, Battle of the Favorite Summer Lippie, the Most Expensive Face Challenge, the Best Brush, Favorite Fall Polish, Favorite Red Lipstick, Best Fall Look, Halloween Manicure, Favorite BB Creams, Favorite Mascara , Favorite Holiday Metallics, and Holiday 2012 Beauty Wishlist, New Year's Beauty Resolutions, 10 Things I Repurchase Over and Over, Beauty Pampering, Favorite Cream Shadows, Best Waterproof Makeup, and Summer Manicure. Also, don't forget to click on the thumbnails below to find out what foundations my fellow Makeup Wars Bloggers are loving this Summer!!! I really need to get that CC Cream from IT. They have such amazing stuff! I've heard good things about Paulas Choice, need to add this to my list! I haven't tried many CC creams; I've generally loved everything from IT Cosmetics, so need to check that one out! LOVE the It Cosmetics CC Cream. I've been wearing it constantly! How great is the LM TInted Moisturizer? That was my go to until I just discovered the Clinique CC Cream. @Eugenia-Yes, Paula's Choice products are fabulous! Totally recommend both their makeup and skincare! I'm crazy about the It Cosmetics CC+ cream too. The color is light enough and the coverage is beautiful. I need that CC Cream! I've wanted to try the IT CC cream for a while, I"m adding it to my list! 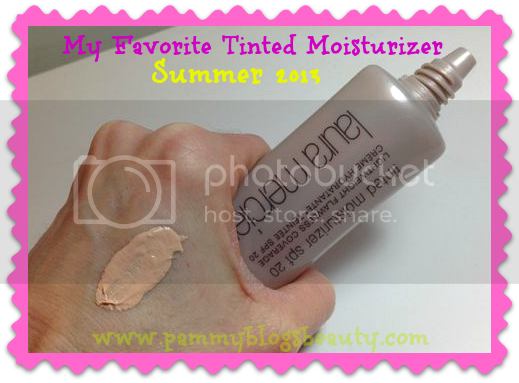 I still love the LM tinted moisturizer! I will have to try out the CC cream! I really want to try the It Cosmetics CC Cream! Love that you love the Paula's Choice, too.